KSME Academic Award, 2003, "Large-scale Vortical Structure of Turbulence Separation Bubble Affected by Unsteady Wake". Inter-Research Technology Award (from President), 2003, "Development of Torque Converter". 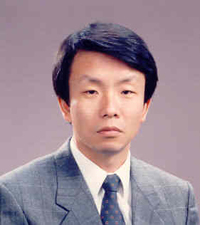 Namhun Academic Award (The Best Paper Award of Thermal and Fluids Engineering Division, KSME), 1997, "Control of Turbulent Separated Flow over a Backward - Facing Step by Local Forcing".